Yikes! 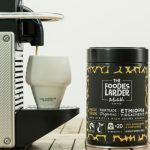 Our Ethiopian Yirgacheffe and Peruvian eco-coffee capsules have been so popular that they're out of stock. Yep, we're on the cusp of launching our all-new, exceptional coffee line up in compostable coffee capsules that don't cost the Earth. 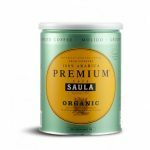 Single Origin, High Grown, Organic, Swiss Water® Decaffeinated…our ‘Delectable’ range of three premium coffees below not only gives you a truly delicious coffee experience but one that is ethical and sustainable too. All our capsules contain 10% more coffee than a standard Nespresso® capsule and are made from cornstarch, so they are 100% biodegradable and compostable. This means you can put any of our coffee capsules into your council food waste collection bin or indeed your standard rubbish bin safe in the knowledge they will have completed disintegrated within 150 days. How's that for the ultimate in eco coffee convenience?! 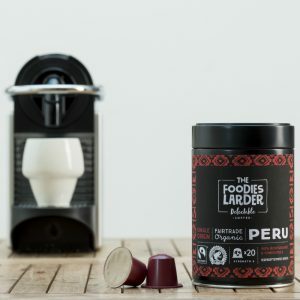 If you've already bought our biodegradable coffee capsules then you might like to visit our FAQ section or our blog post to get the most from our capsules and ensuring the best cup of coffee each and every time. 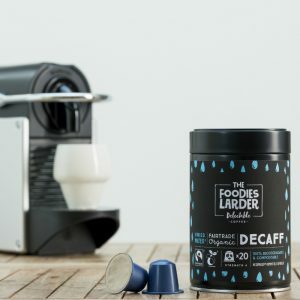 If you are still deciding though, just read on and click one of the images to find out more about each of our three biodegradable and compostable coffee capsules! The development of our new speciality eco coffee capsules has meant we've temporarily gone out of stock. However, fear not as they will back very shortly and boy will the wait be worthwhile as they will look and taste even better…get ready to follow #followtheBlueGoose! Our organic and Fairtrade Ethiopian Yirgacheffe coffee is Strictly High Grown at altitude, giving it a complex, sweet and intensely refreshing flavour. 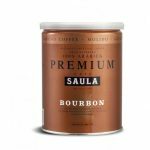 Grown under shade, the result is a fragrant coffee with a light to medium body and a hint of spice & rich fruit, with a lovely chocolatey finish.